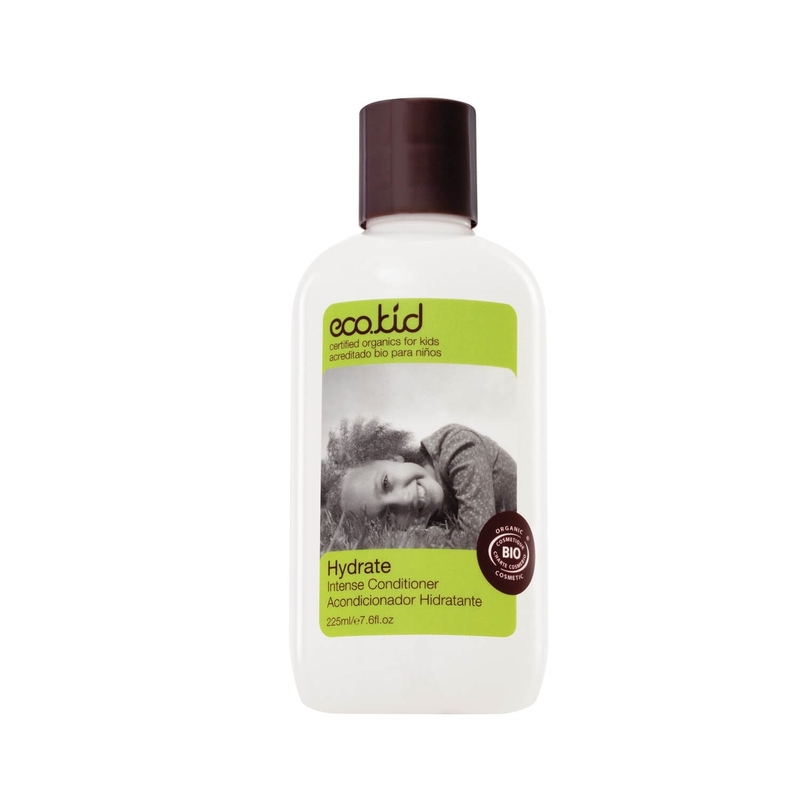 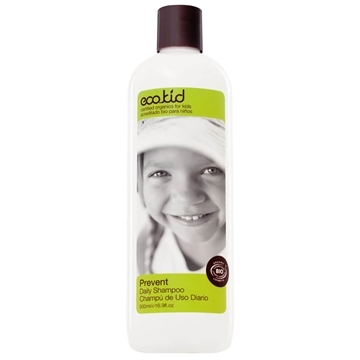 Ecokid Hydrate Intense Conditioner (225ml) is a rich moisturising conditioner perfect for long locks, curls, 'fros and frizz! 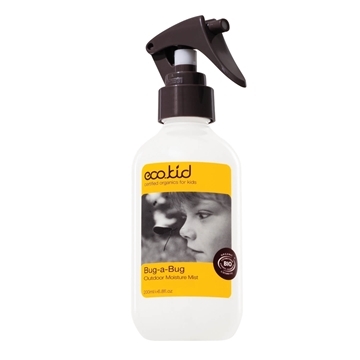 Quench and repair your hair with this concentrated formula that will also help keep lice away using Australian pure essential oils. 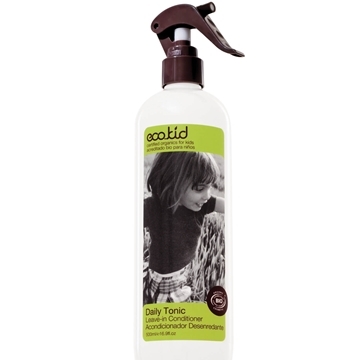 Hydrate conditioner enhances curl, combats frizz and boosts shine on curly, dehydrated or wavy hair. 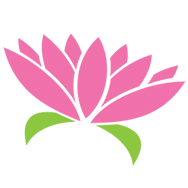 Aqua (Water), Aloe Barbadensis (Aloe) Leaf Juice*, Cetearyl Glucoside, Cetearyl Alcohol, Glycerin, D’Limonene*, Dicaprylyl Ether, Decyl Glucoside, Glyceryl Oleate, Brasicyl Isoleucinate Esylate (Rice), Brassica Alcohol (Mustard), Propanediol, Diheptyl Succinate, Capryloyl Glycerin/Sebacic Acid Copolymer, Glyceryl Stearate SE, Tocopherol (Vit E), Passiflora Edulis (Passionfruit) Seed Oil, Mauritia Flexuosa (Buriti) Fruit Extract*, Pentaclethra Macroloba (Pracaxi Fruit) Seed Oil, Theobroma Grandiflorum (Cupuaçu) Seed Butter*, Astrocaryum Murumuru Seed Butter*, Carapa Guaianensis (Andiroba) Seed Oil*, Euterpe Oleracea (Acai) Fruit Extract, Phospholipids, Glycolipids, Glycine Soja (Soybean) Oil, Glycine Soja (Soybean) Sterols, Citriodora (Lemon Myrtle) Oil*, Melaleuca Quinquenervia (Broad-leaved Paper Bark Gum) Oil*, Eucalyptus Radiata (Narrow-leaved Peppermint Gum) Oil*, Leptospermum Petersonii (Lemon Scented Tea Tree) Oil*, Myristyl Myristate, Hydrolysed Wheat Protein, L-Arginine, Benzyl Alcohol, Benzoic Acid, Sorbic Acid, Salicylic Acid, Citralª, Geraniol, Linaloolª, Farnesolª, Citronellolª, Eugenolª, Nerolinaª.